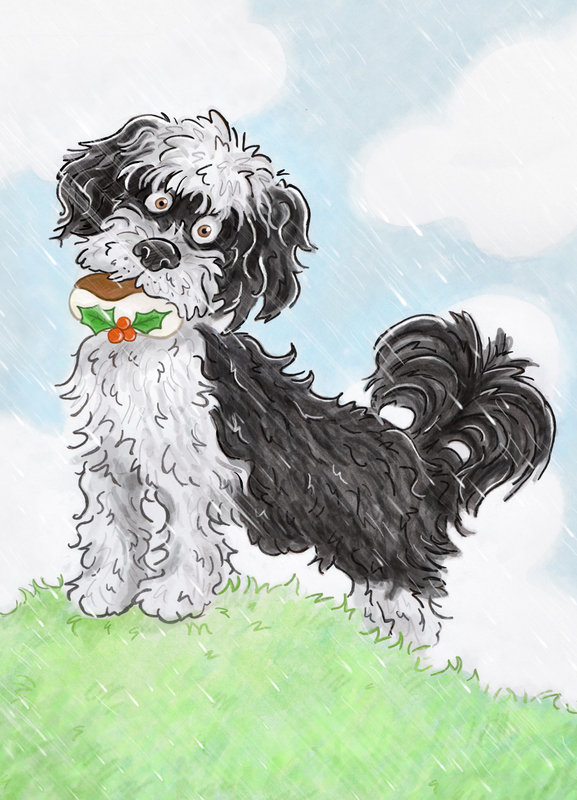 Coming Home is the first book in a series that follow the antics of two dogs, a beautiful, black cocker spaniel with a will of iron called Peggy and a cheeky, mischevious Tibetan Terrier called Archie. Cheeky Archie, Peggy’s best friend. Together they create The Do Good Dog Clan. The two dogs create The Do Good Dog Clan, helping children in trouble and solving mysterious crimes. 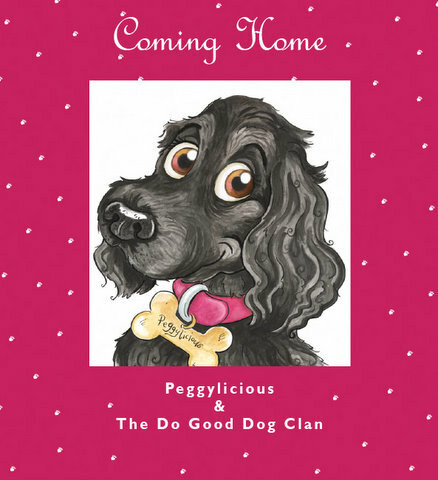 Written in rhyme, the first book, Coming Home, explains how Peggy comes home to her new family, meets Achie for the first time and The Do Good Dog Clan is formed! The book retails at £5.99. But you can buy it here for £5.00. You can now listen to the story on Peggylicious TV on You Tube. Click here for storytime! Why will the books appeal to children? Peggy is a real girl, with beautiful black curls, a pink collar and a love of pretty things but underneath she has a will of iron and hates to see injustice. All little girls will love Peggy and her sunny outlook on life. Archie on the other hand is a mischevious Terrier who’s a bit of a daredevil with a big heart. This naughty but lovable chap will always help anyone in trouble. The dynamic duo will be joined by other dogs as the series progresses, a short Dachshund, a tall Great Dane, a ditzy Chihauha and whilst they may have attributes that they don’t like about themselves, those same attributes will be turned into a positive as they help Peggy and Archie with their doggy antics. How will the stories develop? Each new book will highlight a situation that children find it difficult to cope with as they grow up. The dogs help the child through that part of their life and make it fun at the same time! From moving to a new neighbourhood and having to make new friends, starting a new school, understanding right from wrong, to feeling left out and getting lost on a school trip! The books will tackle all sorts of issues in a light-hearted, easy to understand manner that children and parents will love reading. Have you taken on board any expert advice? Yes, I have collaborated with teachers from nurseries and primary schools about the issues that children face and the first book has been reviewed by speech therapists (see Reviews). Why is the book written in rhyme? The book is written in rhyme which young children find easier to follow and which helps them to progress with their reading more quickly. Studies confirm that knowledge of rhymes helps children progress in reading once they start school.This is detailed more on the ‘Bookstart’ website. The second book is already written and ready to go to the illustrator!